Wow!! Before I owned my own studio in 87' I used just about all of those pre 87' sequencers.. Calliope studio, D&D, Quad, Ultra sonic, Axis, Soundworks, succorer. Etc.. But in my own studio? ALESIS MMT8 all the way...!!! I've been a logic man for about 12years now (since 2004? ), before then Reason (since 2001?)... 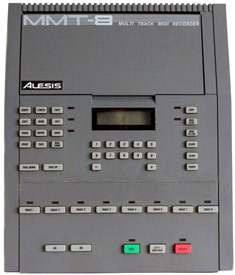 Before then ALESIS MMT8! Before then.. Real instruments..lol! Thanks to Rhano for answering my questions! !